Howard Sherman: Are Off-Broadway revivals keeping out new work? A couple of decades ago, a hit Off-Broadway show at a subsidised theatre had two options when its run drew to an end – move to a commercial Off-Broadway engagement or, if producers had confidence, move to Broadway. Today, that decision has many more permutations. With Fun Home having successfully transferred from the Public Theatre to Broadway, and Hamilton following the same path, the Off-Broadway to Broadway model is certainly intact. But the Off-Broadway to Off-Broadway model has a few new twists. The Sound and the Fury, a production by the company Elevator Repair Service, was first seen at the Off-Broadway New York Theatre Workshop in 2008, but when it returned to Manhattan earlier this year, its choice was another subsidised venue, the Public Theatre. Stephen Adly Guirgis’s Between Riverside and Crazy was a success last summer at the Atlantic Theatre Company, and was remounted this spring by Second Stage, a peer company to the Atlantic. In the case of Dave Malloy’s Natasha, Pierre and the Great Comet of 1812, a smash at the small Ars Nova, it moved to a commercial run, first in the lower Manhattan Meatpacking District and later on 45th Street just off Times Square, but it remained resolutely Off-Broadway, because in both incarnations it was performed in a tent, not a theatre at all. Here Lies Love took an unconventional journey, too, premiering at one of the Public’s theatres in its downtown home, only to return there as a commercial production when producers couldn’t find a suitable venue anywhere else. These examples only seem to point up the complicated models by which an Off-Broadway success can secure future life, given a combination of ever-rising Broadway costs, fewer commercial Off-Broadway houses, and unconventional stagings that may not fit inside a proscenium. At the same time, Off-Broadway now even sees shows move to Broadway, and then return to more intimate environs as the audience tapers off. 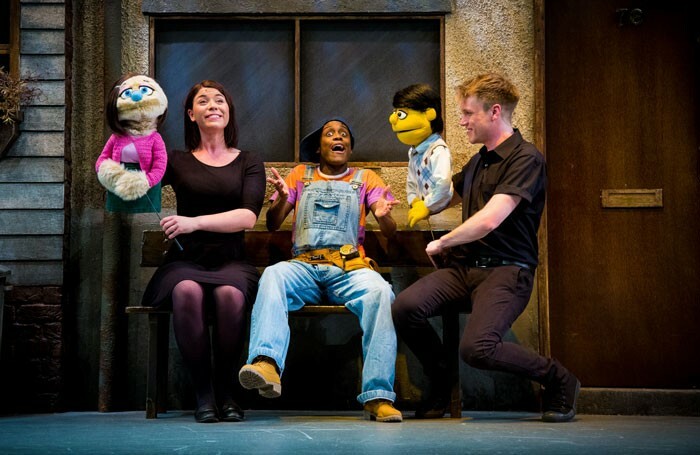 Examples include Rent, which began life at New York Theatre Workshop before moving to a 12-year Broadway run, and Avenue Q, which started at the Vineyard Theatre, before six years on Broadway. Both were remounted at New World Stages, a five-theatre Off-Broadway complex. This raises a question. If Off-Broadway shows return to Off-Broadway, especially in subsidised venues, might they be taking up stages that could be used to introduce new work? Is this a trickle-down impact of longer runs for Broadway mega-successes, the reliance on star-driven, high-priced limited runs alongside them, and the loss of Off-Broadway houses? Sustained runs for terrific work are admirable, but since the prospect of new Broadway houses is unlikely, maybe this is evidence of the need for more Off-Broadway venues, tricky as the economics may be, to give a variety of shows longer lives while leaving room for all that’s new.